Data analytics is an important component of modern business in a number of ways. The term “data analytics” brings to mind artificial intelligence and machine learning algorithms picking apart transactions, customer behaviors, employee activities, supply chains, financial data, and online traffic patterns to derive insight for marketing, human resources, and transportation/shipping departments. Analytics technology, however, can also help at a much more fundamental level to evaluate and optimize system performance. The days of thumbing through reams of plain-text files detailing your entire system environment, looking for an annoying error in code, are over. Log management programs now use data science to pinpoint exactly where problems lie, fix the issue automatically, and immediately implement changes. 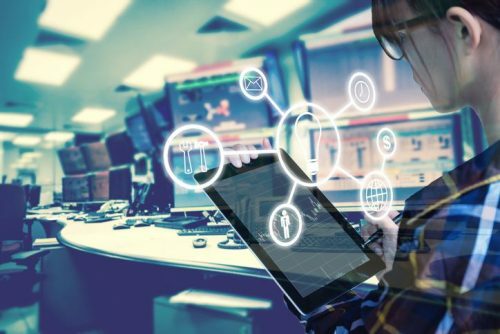 Modern business executives may have little interest in the technical ins-and-outs of using data analytics to monitor system performance, but they do have to know that such a need exists. As the next generation of executives, students pursuing an online executive MBA degree are now taking data analytics courses specifically so they can understand just how inseparable contemporary business practices are from Big Data. An effective executive should have a well-rounded understanding of the data-laden options that keep everything from email to web browsing and e-commerce flowing smoothly. One of these data-focused options is log analysis. Because of the highly distributed nature of much corporate infrastructure, log analysis can be hugely beneficial to companies wishing to improve their system performance. Log analysis can be done through a deep-learning data analysis of log data files such as web server logs. Response time: How long are requests taking to be processed and returned? Analysis of server log data can show where response times need improvement. Memory issues and garbage collection: Out-of-memory and exceeds-memory errors can be catastrophic to an application if they are not flagged and taken care of immediately. And garbage file collection can slow down a system and cause memory leaks until a server is restarted. Deadlocks and threading issues: When 2 or more competing actions are waiting on the other action to create a needed event before proceeding to completion, everything in a system can come to a halt until the issue is resolved. High resource usage: An increased strain on a server needs to be identified early so additional resources can be made available to meet with rising user demand. Database issues and slow queries: Tracking slow queries, from start to finish, helps to define exactly where database performance is exceeding acceptable thresholds. Log analysis does more than identify issues in these areas. Log management tools use cutting-edge data analysis technologies to evaluate business operations, discover solutions to current issues, and predict future performance. When issues arise, a log management tool can flag and fix them so fast that almost nobody even notices the problem. A high strain on resources, for example, can immediately be countered by tapping into the power of graphic processor units instead of relying solely on CPUs. Stackify adds that log management tools also ease security-related concerns, help IT teams prevent attacks, and provide a visual overview of how software packages and applications are being used globally by a business’s user base. Being able to view crucial log information like this on a single, intuitive dashboard means productivity can improve as unnecessary delays and bottlenecks are solved. Simply aggregating statistics and manually perusing endless streams of data is a wholly inadequate way to stay on top of the fast-paced business processes that drive our connected, digital economy. And even if one were able to read every log file, the problem itself might only require a small tweak to fix. The system as a whole might be working perfectly otherwise. For example, if an online customer wants to purchase a product online but finds that adding the item to the website’s shopping cart is not working, traditional customer service methods might not be able to discover the source of the issue. The test model used by the customer service representative could fail to duplicate the problem because the test model and the user’s laptop and Wi-Fi network are accessing different databases and tables. A log management analytics system, however, could view every side of the attempted purchase all at once and see, almost instantaneously, that a time-out at the customer’s end is responsible. These are just a few of the available log management solutions available to modern businesses. Corporate executives and upper-level managers may not need, nor will most of them even desire, to know and understand everything about log analysis and how it works. But what executives should understand is just how important log management analytics is to a smooth-running business, especially when that business depends heavily on the internet and e-commerce. A working knowledge of the types of solutions available and how each solution can most benefit their business can set executives ahead of their competition. Online Executive MBA students will be prepared to enter upper-management positions that require an understanding of how modern technology and data solutions can improve business. Washington State University’s Carson College of Business offers an online Executive MBA program that provides students the knowledge, skills, and training to rise to the top of innovative industries as strong, influential business leaders and effective decision makers. To support future innovation leaders, Washington State University’s Executive MBA courses include managerial leadership and productivity, organizational design, and management of innovation. Contact Washington State for more information.